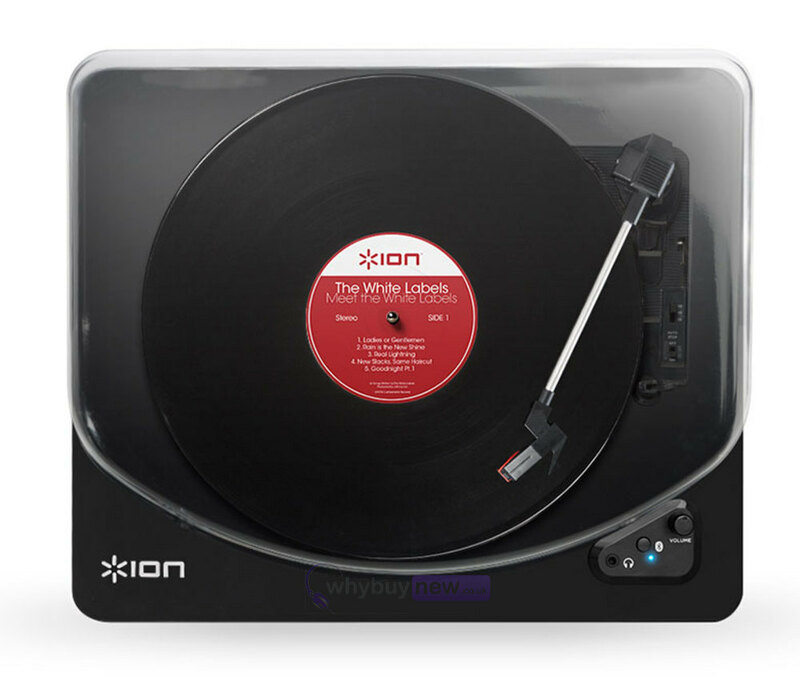 With the Ion AIR LP you can stream your vinyl records to any bluetooth speaker. 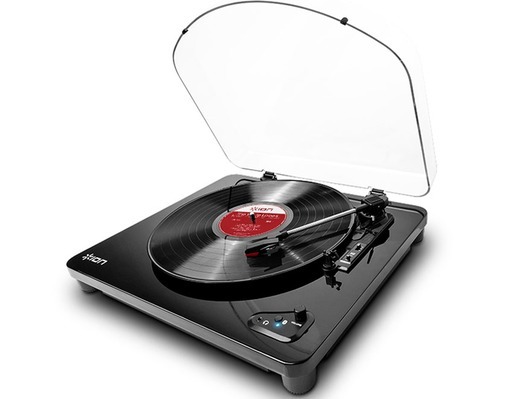 The Ion Air LP is a full-featured turntable that gets the best from your records and gives you endless opportunities for enjoyment. It plays 33 1/3, 45 and 78 RPM records. Unleash yourself from the restriction of cumbersome hookup cables. 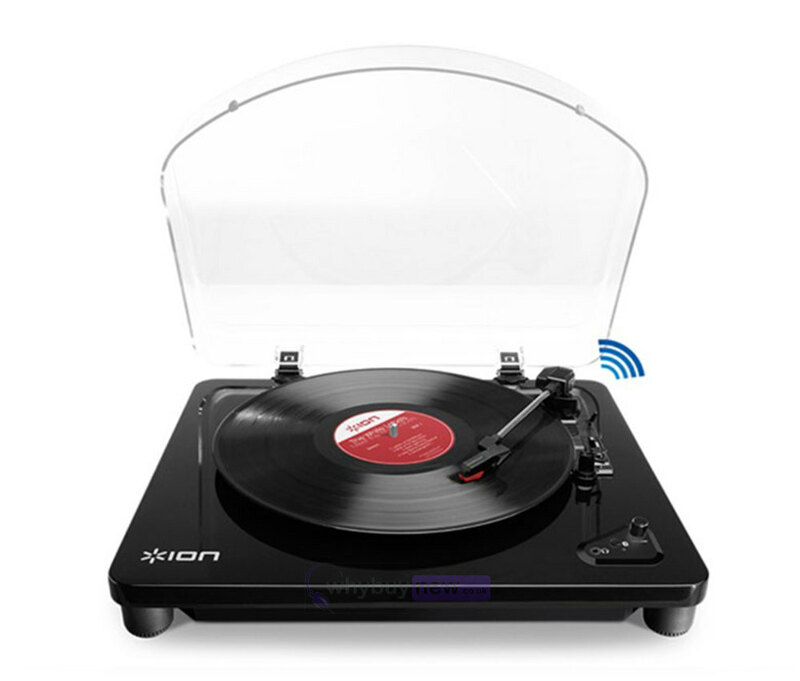 With Air LP, you can send the sound from your records wirelessly to any Bluetooth speaker. 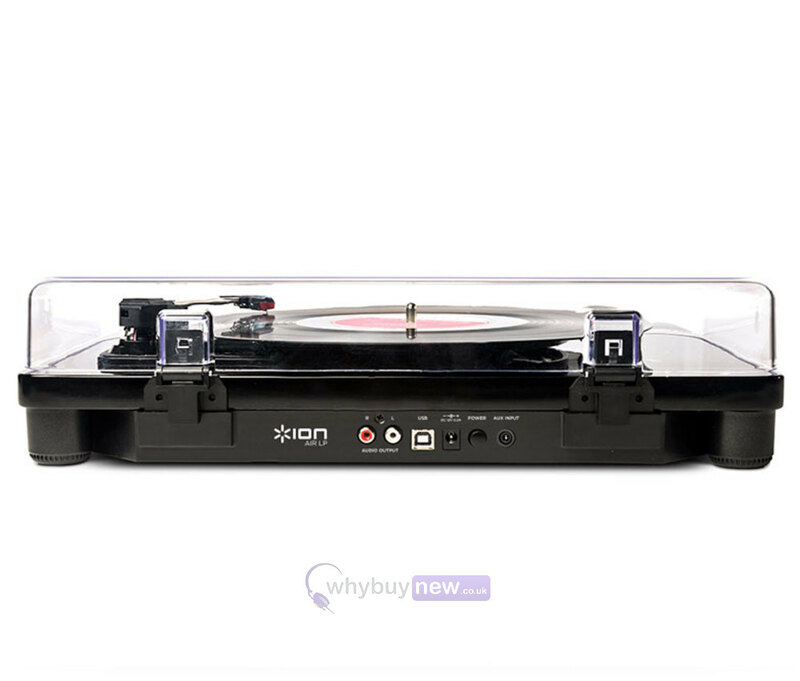 Put Air LP where it's convenient for you and put your Bluetooth speaker where it sounds best-the sound is transmitted wirelessly and your days of fumbling with connection cables are finally over. A quiet belt-drive system combines with Auto-Stop for convenient operation. A 1/8-inch (3.5mm) aux input lets you connect other equipment and also wirelessly transmit that sound to the Bluetooth speaker. 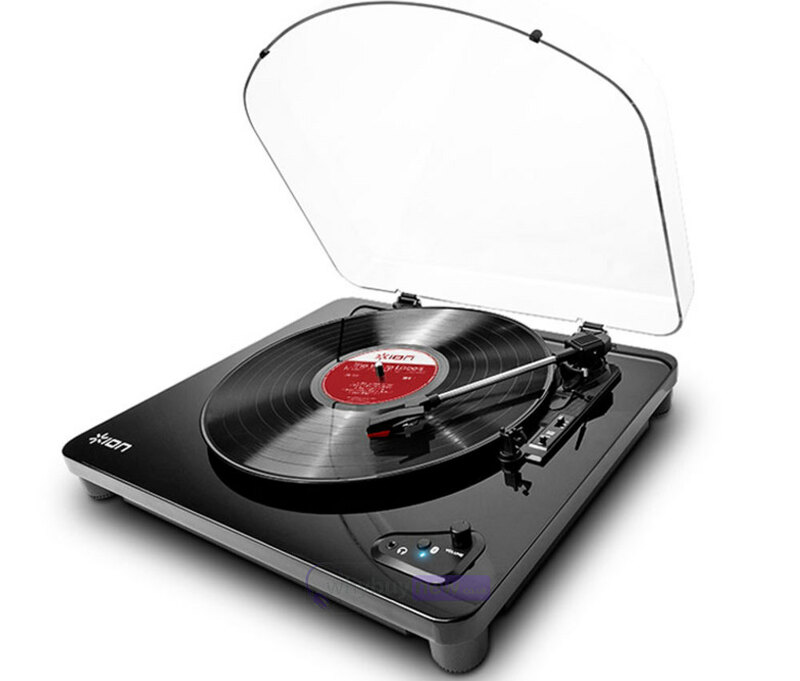 Air LP comes with our EZ Vinyl/Tape Converter software that converts records to digital files when you connect Air LP to any computer with the included USB cable. A hinged protective dustcover completes the package.